"The best and most simple accounting software"
This is best software fits for small business. You able to do bills and online payment for all your employees with just a click. Our company ganpati computer using this for 2 years. And there is nothing like this if you can consider with price. You will get almost all features needed for your accounting is there. One one thing where they should improve there work is mobile app. It has some bugs also often crashed while using this. But this is not big deal because no one carr for mobile app while you can do everything with computer. I hope soon they will make more stable mobile app. Highle commended for small business because you will get all your neess in small prices compated to other similar softwares. Our company using wave payroll for all our payment needs and for invoices needed for tax verification. Wave Payroll is one best payroll software for small businesses, this is because it is free, very easy to set up, supports double entry accounting, supports direct deposit, its easy to use and it is user-friendly. It integrates with Wave accounting which enables you to do both payroll and accounting in-house. The support is also excellent, always there when needed. When generating reports there are no preset periods like this month, this quarter, this financial year. If you have a small business then Wave Payroll is good for you, it is specifically tailored for small businesses, it is free but after you integrate Wave accounting you'll be required to pay a small fee monthly. The fact that you can do both payroll and accounting using Wave Payroll because it integrates Wave accounting is amazing, you don't have to get two software for these two functions when Wave Payroll can do them both, this cuts cost. It also supports direct deposit which saves time and avoids unnecessary processes. "Good for smaller companies, without much reporting need. It works well though!" The Ux and platform is fairly intuitive and it works well. Also their online forums have most of the issues that I have encountered documented so a quick google search usually will resolve. Lastly I have emailed the support team and they have been helpful, if it is not a simple task to resolve via email, I can get them on the phone to fix things quickly. Two big things I dislike about the platform. 1) it is not very flexible. Certain things, such as the inability to select individuals to process their pay bugs me, the only time you can do that is if the employee is terminated. Where it gets confusing is, if you terminate someone after payroll has been submitted. Then we need to do manual adjustments. Also their system does not have the feature to send us an email on the day payroll needs to be submitted, instead it sends it out 2 days ahead of time, and not again on the day of. Last thing I dislike is the lack of reports that I can generate, for example departmental allocation. Possibly the features are there, but I have yet to stumble upon them. Great system when you start your business, eventually might want to move to a higher level system unless Wave develops new tools more rapidly. Payroll semi monthly, reimbursement of expense reports, deduction of employee's portion of extended health. It is a great price, it works well and I am overall happy with it. Compared to ADP or Ceridian, it's easy to use, looks good, but lacks the reporting feature. Also it is a Canadian company! Love to support fellow Canadian businesses. It was easy to use this software especially when sending invoices and receipts to clients. It helped us differentiate which client had overdue invoices and which one had partially paid or fully paid. It helped us keep proper records for receipts since anyone could download the wave receipts on the phone and take a picture of the receipt for accounting purposes. I experienced nothing wrong with this software. It was the best and it really helped us. I would recommend this software to any kind of business. It can help you save time and money. It was easy to use and it kept upgrading for the best of our company. This was an excellent tool for accounting and billing. It was easy to create an account and compare its monthly report to that from the bank. Anyone could use even if they didn't not have accounting background. "Wave has been the BEST thing to help me keep my multiple businesses organized"
Wave has been the BEST thing to help me keep my multiple businesses organized. I have four different small businesses, and Wave is the easiest tool to use by far to keep all my expenses, income, sales, bills, and payroll organized! Honestly there isn't a whole lot that I don't like. Wave Payroll helps me keep all aspects of my businesses so much more organized than trying to do it myself. It helps me to streamline my time and helps a TON with end-of-year taxes! "Have been a Wave Apps user since the early days...."
The thing I like best about Wave is the mobile optimization. Most accounting and payroll service sites are too complex to use on mobile, but Wave is highly optimized for mobile, making it very easy to do things on the go, for example while traveling. The only thing I dislike about Wave is that the apps, though highly optimized, have not yet been updated to fit the newer iPhone screen. Very picky thing to dislike but could easily be quickly fixed! 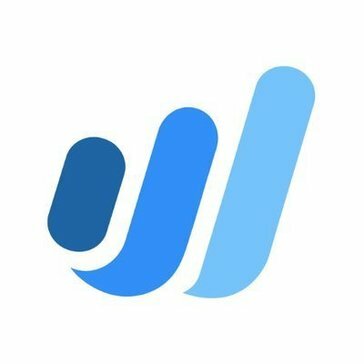 I would recommend getting to know Wave first by using the accounting app and generating invoices and charging credit cards before moving into Wave Payroll. Wave Payroll would take more time to get accustomed to without previously being accustomed to the way all Wave apps work. Wave Payroll allows my business to meet Payroll expectations without having to use a large payroll company. This saves not only an insane amount of money but a lot of time as well, where you have the core members of the company handling payroll and not unnecessarily going through other departments, adding too many large layers than would be needed for a smaller business with less than 100 employees. 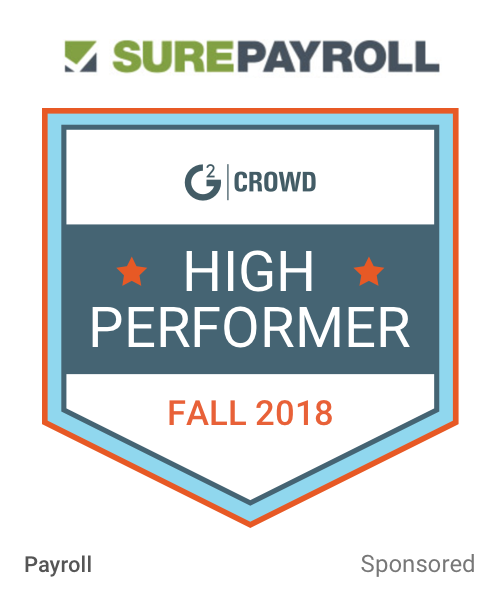 "well designed with a simple to use interface and great tools for administering your payroll"
It is so user friendly. It really helps keeps you on track with payroll. I like all of the additional optional utilities. You can really make the most of it. I do not think that there is anything that I dislike about Wave payroll. It is a great utility. Wave payroll makes payroll simple for its customers. I know that if I ever have an issue, Wave is there to help anytime. I absolutely love wave payroll, This helps us a lot in many ways. * Real time business expenses. * We can manage our client invoices. * Real Time payment of our employee. Wave payroll takes some time to credit your payment to your bank account. I always received message that i received amount however in my bank account it appears after 3-4 days. We are using wave payroll because we have 10k+ employee. So wave payroll does excellently work to pay them within time. also we can track our total expenses and invoices. Easy to use to manage invoices, payroll, and estimates. Allows me to be better organized so I can shift my attention and focus on other areas. Math isn't my best subject and this helps me out a lot. Once a client makes a payment it takes several days for the payment to be transferred to my bank account. I fewel this is a great and easy to use tool. I am solving organization problems with Wave Payroll and I have benefited by processing payroll faster which gives me time to do other tasks. "Wave is the most incredible system I've ever used"
I LOVE Wave. They continually better their software, and it's the simplest to use and understand compared to all the other ones out there. There's absolutely nothing that I dislike about Wave. If you aren't using it, it's time you simplify your life and do so. I'm solving both my payroll headaches and my billing issues with Wave. Wave is the best payment processor I've used and the fact that there's payroll included is amazing! I love having everything all in one place. Nothing I can think of! It's so convenient how easy it is and there's always support. Less systems, because it's all in one. Very easy to use and pay clients, contractors,etc. Only problem it takes a few days befor the money is in the account. The convience of being able to pay someone without having to go to the bank. * We monitor all Wave Payroll reviews to prevent fraudulent reviews and keep review quality high. We do not post reviews by company employees or direct competitors. Validated reviews require the user to submit a screenshot of the product containing their user ID, in order to verify a user is an actual user of the product. Hi there! Are you looking to implement a solution like Wave Payroll?